Modesto Red Shield young boxers win National Silver Gloves championships. 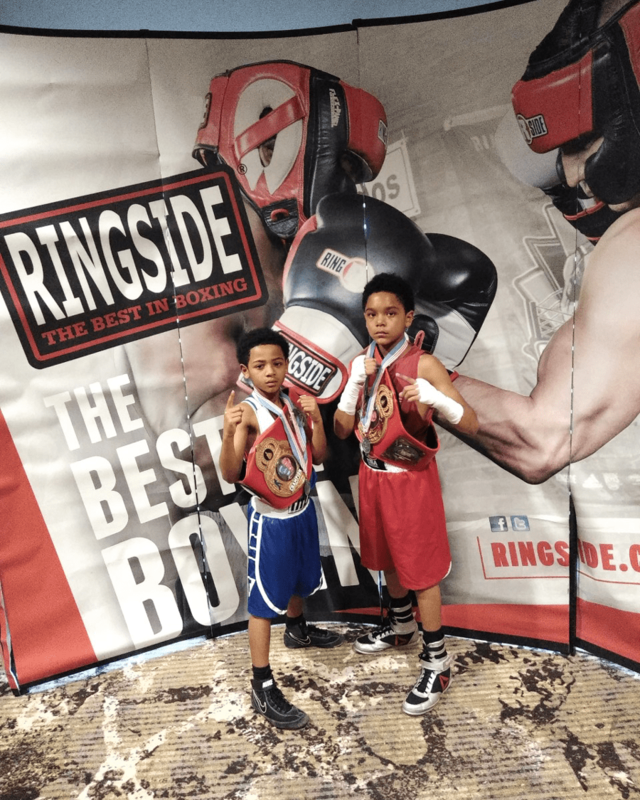 Brothers Damon, 8, and Andre, 11, Flores recently hit milestones in their boxing journeys—together. Both brought home national boxing titles in their respective categories after winning crowns at the 2019 National Silver Gloves championships in February in Independence, Missouri. The young boxers train alongside one another at The Salvation Army Modesto Red Shield Boxing Program in Modesto, California, encouraging one another in the sport they both love. Andre won in the 75-pound 11-year-old category and Damon triumphed in the 65-pound 8–9-year-old category. The boys said their victory was especially exciting because they both won. “It felt good,” Damon said. “It makes [this win] a lot more special because I’m knowing that I’m influencing my little brother to become a great, too,” Andre added. Their father, Damian Flores, Sr.,who is also one of their coaches at the Red Shield, expressed how proud he was of his sons. Damon and Andre enjoy their boxing training with one another and their older brother, Damian Flores Jr., 12, at the Red Shield—where they practice daily by exercising, hitting the bag, practicing advanced techniques and sparring. Andre said Damon keeps him competitive in a fun way. Modesto Red Shield Boxing Program coordinator and coach Juan Barrera said he has enjoyed watching Andre and Damon bond through boxing. He said their national title achievements are no easy feat. Brothers Damon (left) and Andre (right) Flores showcase their 2019 National Silver Gloves Championship boxing title belts. Damian Flores Sr. attributes Andre and Damon’s success to their strong work ethic. Damon and Andre said they have grown significantly by boxing at the Red Shield—where they are coached by their father, as well as Barrera, Andy Mariscal and Anthony Mariscal. Andre said he has learned many skills, and that boxing is a way he expresses himself now. The brothers have big plans for their future in boxing. “Our goal is to get to the Olympics and hopefully win gold,” Andre said. And their dreams stem from important roots in their family. Andre said boxing is in their blood because their grandfather was a Bay Area Boxing Hall of Famer and cousin just became a professional boxer. So completing his boxing journey with his younger brother is important to him.